Your own private stairway to (beach) heaven! Coming with a group of friends? Getting in some bonding time with your grown children? Vacationing with extended family? 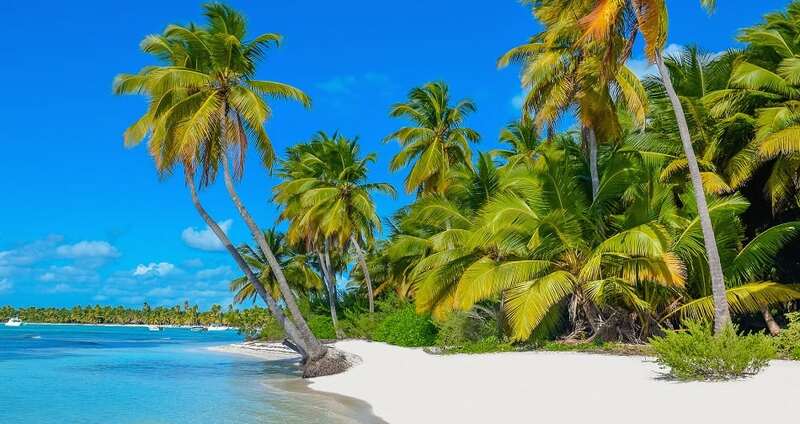 Treating Gramma and Grampa to a Caribbean holiday? One tropical hotspot can match everyone’s vacation style, this postcard from paradise, Anguilla in the northern Caribbean. Given its name (Anguilla = eel in Italian) by Christopher Columbus for its peculiar shape, the island boasts 33 pristine white-sand beaches, washed by clear water in 50 shades of blue. An off-the-radar utopia unspoiled by frenzied consumerism. A low-key paradise where you can still see clapboard shacks, meet friendly, down-to-earth folks, and enjoy an authentic laid-back vibe. And spacious luxury villas where your family or friends can comfortably get together or retreat to their own private space. Yup, tiny but diverse Anguilla has something for everyone! With over 100 restaurants on an island of just about 13,000 people, Anguilla is bursting with more great foodies experiences per capita than many other islands in the Caribbean. And they’re as diverse in offerings as they are in prices. 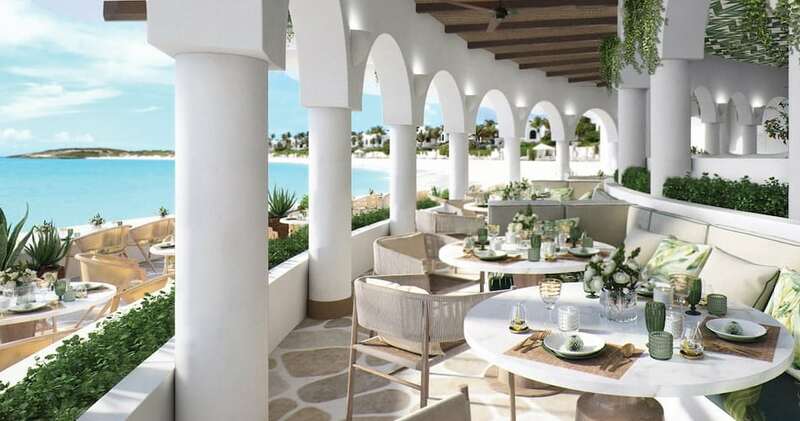 From the exclusive Chef’s Table at the Cuisinart Resort, where you can enjoy a chef-prepared multi-course meal, to a humble beachside grill joint, Anguillan cuisine features lots of seafood and reflects the Caribbean, African, Spanish, French and English influences. 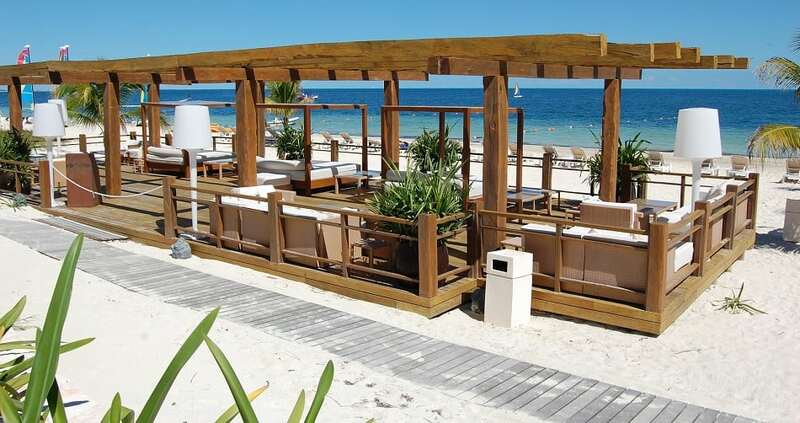 Picture this: The ultimate beach bar with all the ingredients for chilling out – great view, great music, great drinks, plus a West Indies vibe and live music by Anguillan star Bankie Banx and other artists. That’s the Dune Preserve Beach Bar. Open for lunch and dinner. Come in March for the annual Moonsplash Music Festival featuring some of the most preeminent reggae talents. 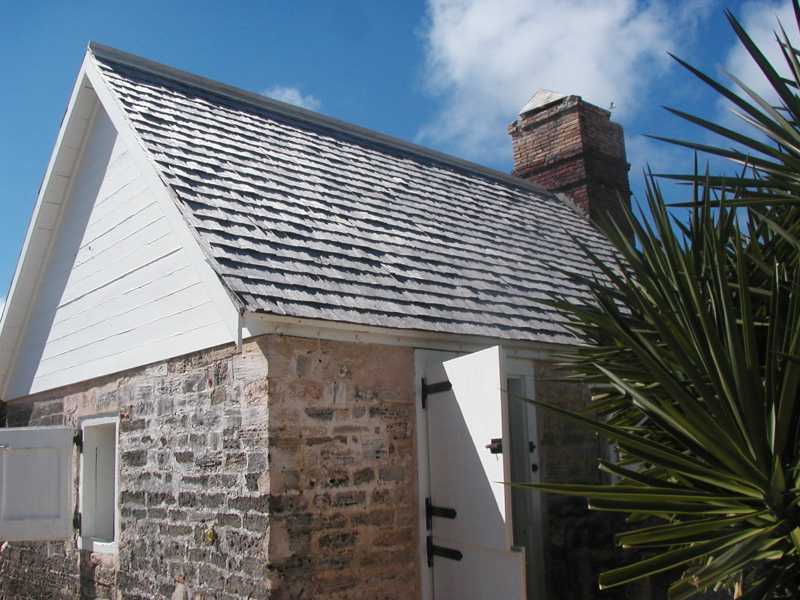 History buffs will surely love a relaxing tour of the Wallblake House, one of the oldest buildings in Anguilla and the only surviving example of the island’s plantation past. See an entire complex of buildings – including the kitchen, stable, and slave quarters – the way it looked when built in the late 1700s by sugar planter Will Blake. With Anguilla being thrust into the 21st century, officials are working hard to maintain this tiny window into Anguilla’s history. 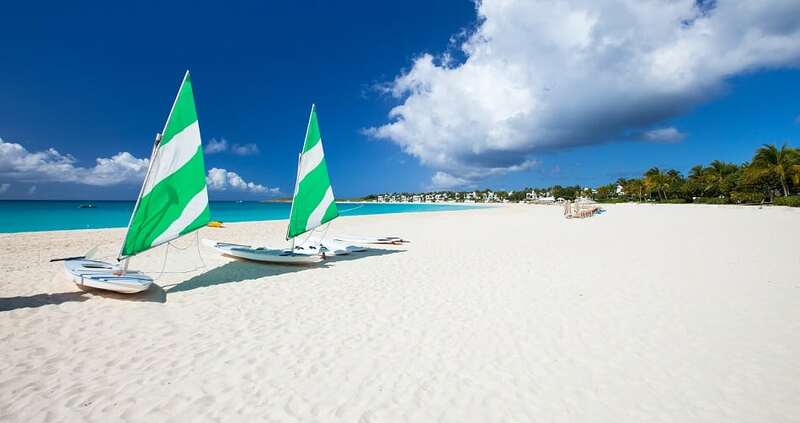 The beach, Anguilla’s greatest asset, can entertain kids of all ages in a multitude of ways. Take them to the calm waters of Shoal Bay for an unforgettable snorkeling adventure and a fun encounter with stingrays, eels, parrot fish, and turtles. Or bring them to Dolphin Discovery Anguilla for a chance to swim and interact with dolphins in a beautiful Caribbean setting. Or how about learning sailing (and safety) skills as they explore the island’s azure waters by boat? Love water but don’t want to get wet? Then a ride on a glass-bottom boat (and a great view of underwater life) is the ticket! With 33 gorgeous beaches to choose from, romance is just around the corner. Shoal Bay East is the most popular and also the most crowded, with bars, restaurants, and rental equipment shops sprinkling its two miles of chalk-white sands. Want a more idyllic escape? Then head to Rendezvous Bay beach. With its sweeping soft white sand, clear blue waters, and matchless St. Martin views, it’s the perfect beach for taking romantic walks. Along the way, stop by the Cuisinart Golf Resort & Spa and cool and funky Dune Preserve. Thinking of someplace cozier? Postcard-pretty Little Bay boasts aquamarine waters with an unspoiled beach, surrounded by high cliffs. It’s hard to reach (you need to climb down by rope or take a boat from Crocus Bay) but ultimately rewarding. 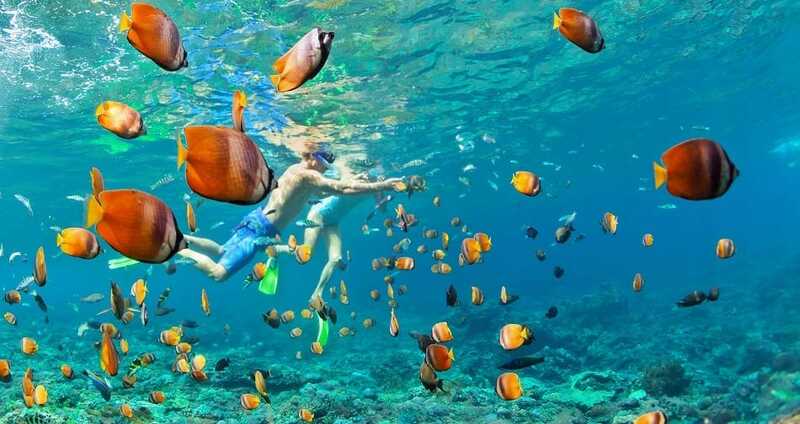 Snorkel and swim – or watch the late afternoon sunsets – away from the madding crowd. Don’t just stare at the picture-perfect water. Take a day cruise and get to know Anguilla’s world. See a veritable movie of exquisite island sceneries – from coral cliffs and coves to bright white villas and colorful fishing boats. Explore the deserted outer cays or watch pelicans swoop down the water to catch fish. Private boat charters also offer snorkeling, sightseeing, and sunset cruises, as well as deep fishing tours. You’ll never see Anguilla the same way again. 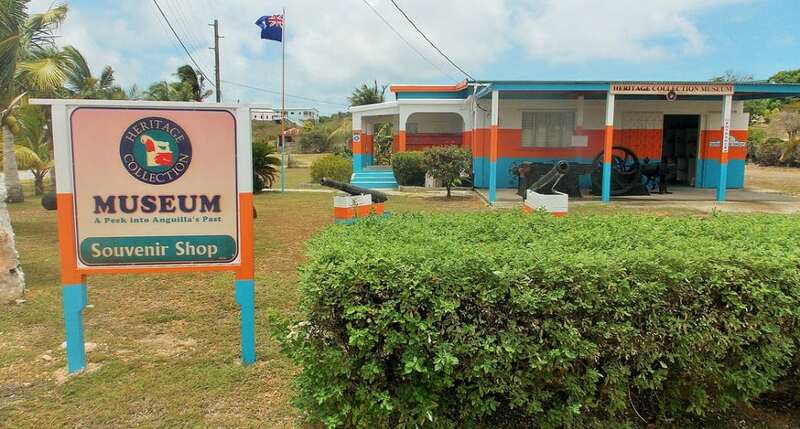 Explore Anguilla’s vibrant past! Start at the Heritage Collection – a museum housing a priceless collection of documents, artifacts, and photographs. The materials span the island’s history, from Arawak Indian tools and handicrafts to current political campaign materials. Then move on to the Old Salt Factory and Pumphouse – a glimpse into Anguilla’s main industry before tourism – salt mining. The historic Pumphouse building is now an action-packed bar and restaurant. Your family will also enjoy a visit to the Mayoumba Folkloric Theatre to experience traditional West Indian song and dance. Got kids? Storytime at the Anguilla National Library lets them interact with local Anguillans! Vacation Tip: Look for a luxury vacation rental with a full-service, tailored-to-your-needs luxury retreat with beach views, spacious interiors, a state-of-the-art kitchen, and a private pool.